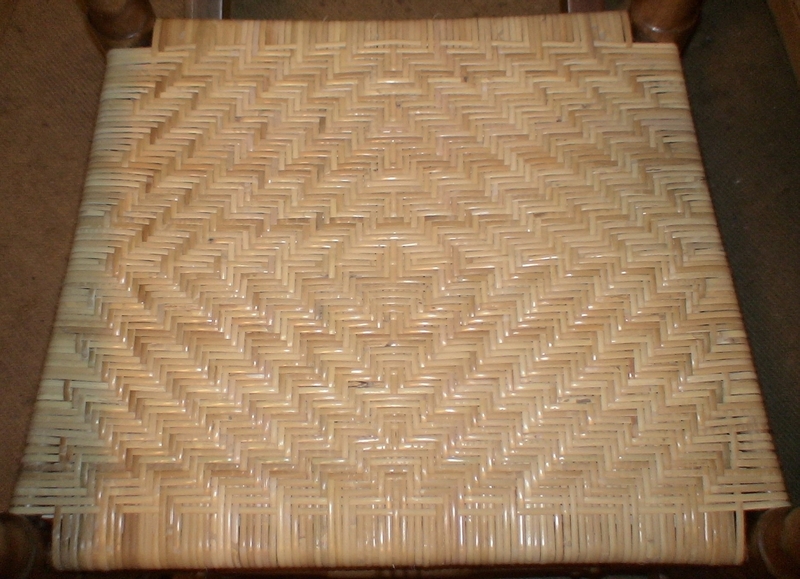 Radiating Diamond Weave Porch Rocker Back - after - 5mm binder cane, same pattern on both sides. Eastlake Childs Rocker - (during) - rocker completely dismantled to be reglued, refinished and for previously poor repairs to be repaired correctly. 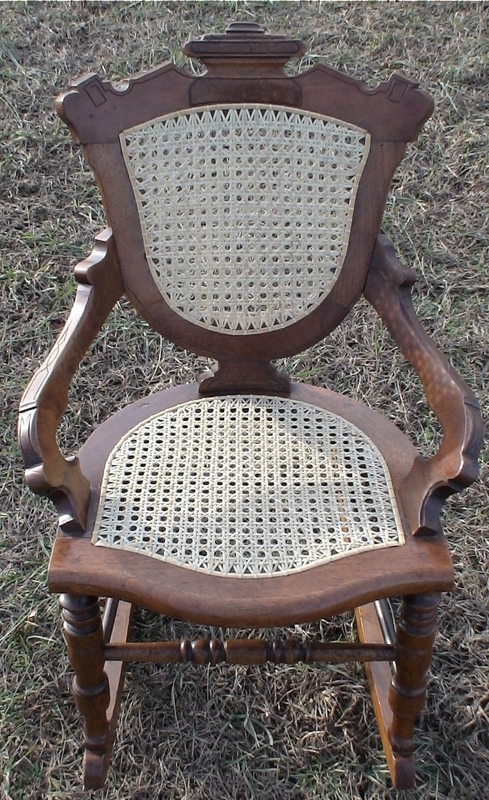 Porch Rocker with Radiating Diamond Weave - after - 5mm binder cane. Rocker was completely refinished and reglued. 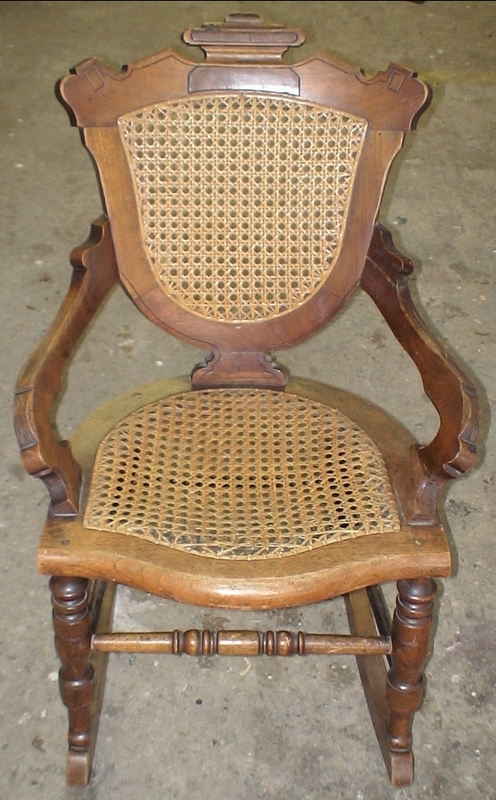 After back was woven the rocker was made "whole" again and the seat was woven on. 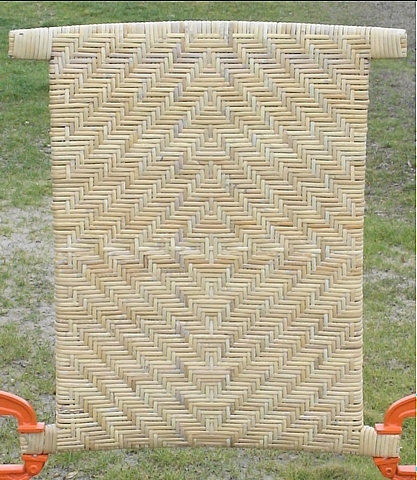 Eastlake Childs Rocker - (after) - completely restored with narrow medium cane for the front to back and fine fine cane for the diagonals with a 5mm spline.